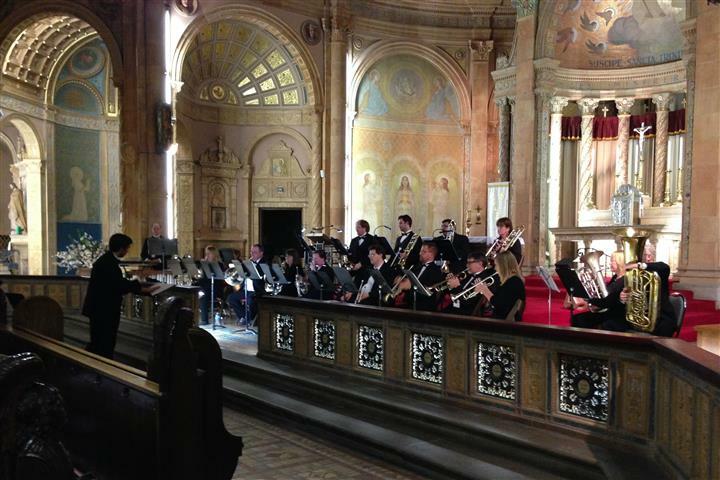 The Buffalo Brass Choir, directed by Nick DelBello, in concert at Blessed Trinity on April 22, 2016. Sunday, February 12, 2017 at 3:00 p.m. Blessed Trinity’s 2016-17 concert season continues at 3 p.m. on Sunday, February 12, 2017, when the church’s ensemble-in-residence, the Buffalo Brass Choir, presents A Requiem in Our Time. This liturgically themed program will feature the title piece by Finnish composer Einojuhani Rautavaar, as well as Pablo Casals’ O Vos Omnes, Bach’s Jesu Joy of Man’s Desiring, and works by three living American composers: John Cheetham, Anthony Plog, and Brian Balmage. This powerful and uplifting program is a perfect prelude to the Lent and Easter seasons. Free-will offering: $10 suggested. wheelchair accessible with secured off-street parking.